Waterproof flat pedal shoe with a profile. 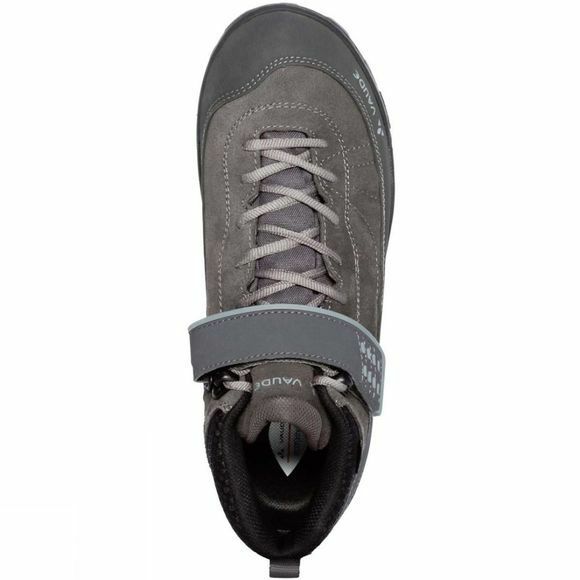 This mid high bike shoe made from top quality leather ensures balanced performance with a custom designed Vibram sole. On the flat pedal, the sole provides solid support in the mid region and effective power transfer to the pedal. The front and back sections of the sole have an aggressive profile that offers better foot roll performance and walking comfort while carrying. 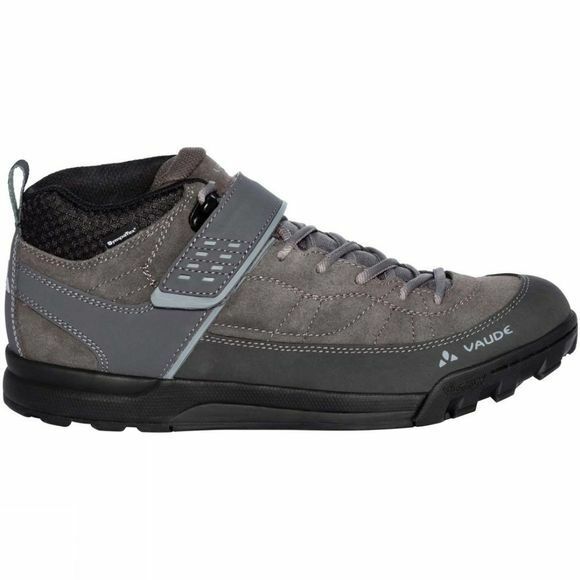 The waterproof mountain bike shoe made from eco-friendly Sympatex membrane protects the ankle with a higher cut, and comes with laces and a hook and loop closure. The Terracare suede leather comes from German production and was ecologically manufactured. The laces are made from recycled PET and certified in accordance with the stringent bluesign standard. The lining and the insole consist of 50% recycled materials. Abrasion resistance and shock protection make sure you can enjoy them for a long time. The Green Shape label is Vaude's guarantee of environmentally friendly products – made from sustainable materials, resource efficient manufacturing and fair production.